“Your sorrow shall be turned into joy.” – John, xvi. 20. Entrance of a Soul into Paradise. Let us at present animate ourselves with the hope of heaven, to bear patiently the afflictions of this life, and to offer them to God in return for the sufferings which Jesus Christ endured for the love of us. All these afflictions, sorrows, persecutions, and tears, will one day have an end, and will, if we save our souls, become to us sources of joy and happiness in the kingdom of bliss. This is the ground of courage and hope which the Saviour holds out to us. Your sorrow shall be turned into Joy.1 Let us then this day make some reflections on the joys of heaven. But what shall we be able to say on these joys, when the most enlightened of the saints knew not how to give us an idea of that happiness which God has prepared for his faithful servants? David could only say that paradise is a good exceedingly to be desired. How lovely are thy tabernacles, O Lord of Hosts.2 But, my beloved St. Paul, do you, at least, who had the happiness of being rapt up into heaven, declare to us some of the things you have seen. No, exclaims the Apostle, what I have seen it is impossible to describe. The delights of heaven are secret words, which it is not granted to man to utter.3 They are so great that they only who enjoy them are able to comprehend them. All that I can say of them, says the Apostle, is, that eye hath not seen, nor ear heard, neither hath it entered into the heart of man, what things God hath prepared for them that love Him.4 No man living has ever seen, or heard, or conceived the beauty, the harmony, the delights which God has prepared for those who love him. O God! what will be the sentiments of the soul on its entrance into that happy kingdom? Let us represent to our minds a young maiden, who, after consecrating herself to the love of Jesus Christ, dies and quits this world. The soul of the young maiden is presented for judgment: the Judge embraces her and pronounces the sentence of her salvation. Her angel-guardian meets and congratulates her; she thanks him for his assistance, and the angel then says: “Rejoice, O happy soul! thy salvation is now secure; come and behold the face of thy Lord.” Behold, the soul now passes beyond the clouds, the spheres, the stars, and enters into heaven. O God! what will be her feelings on first setting her foot in this happy country, and beholding, for the first time, this city of delights! The angels and the saints will come to meet her, and will receive her with a joyous welcome. What shall be her consolation in rejoining there her relatives or friends, who have been already admitted into heaven, and in meeting her holy advocates! The soul will wish to bend her knees to venerate these saints, but they will say: See thou do it not, for I am thy fellow-servant.6 She will thence be carried to kiss the feet of Mary, the Queen of heaven. What tenderness will not the soul experience in first beholding this divine Mother, who gave her so much assistance in the work of her salvation; for then the soul will see all the graces she obtained through the intercession of Mary, who will embrace her with love and tenderness. 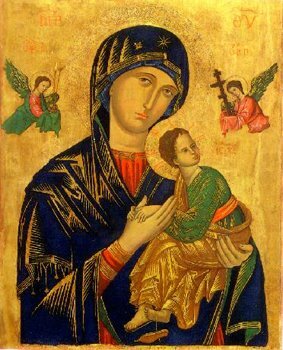 This Queen of heaven will then conduct the soul to Jesus, who will receive her as his spouse, and will say: Come from Libanus, my spouse . . . thou shalt be crowned.7 My spouse, rejoice: there is now an end to tears, to sufferings, and to fears: receive the eternal crown I have purchased for you by my blood. Jesus himself will then present her to receive the benediction of his divine Father, who shall embrace and bless her, saying: Enter thou into the joy of thy Lord,8 and shall bestow upon her the same happiness which he himself enjoys. Behold, O my God! at Thy feet an ungrateful sinner, whom Thou hast created for heaven, but who has so often, for the sake of a wretched pleasure, renounced Thee to Thy face, and has consented to be condemned to hell. But I hope Thou hast already pardoned me all the injuries I have done Thee, for which I am always sorry, and will be sorry as long as I live. Of these injuries I desire to receive from Thee new pardon. But, O God! although my sins have been already forgiven, it will still be always true that I have dared to afflict Thee, my Redeemer, who hast given Thy life to bring me to Thy kingdom. But may Thy mercy be forever praised and blessed, O my Jesus! for having borne me with so much patience, and for having bestowed upon me multiplied graces, instead of chastising me as I deserved. I see, my dear Saviour! that Thou ardently desirest my salvation, and that Thou wishest to bring me to Thy kingdom, that I may love Thee forever; but it is Thy wish that I should first love Thee here on earth. Yes; I wish to love Thee. Though there were no heaven, I would wish to love Thee while I live, with my whole soul and with all my strength. It is enough for me to know that Thou, my God, desirest to be loved by me. My Jesus! assist me by Thy grace; do not abandon me. My soul is immortal: I must then either love Thee or hate Thee for all eternity. Ah! it is my wish to love Thee for eternity, and I wish to love Thee without reserve here, that I may love Thee without reserve hereafter. Dispose of me as Thou pleasest, chastise me as Thou wishest; do not deprive me of Thy love, and then do with me what Thou wishest. My Jesus! Thy merits are my hope. O Mary! I place great confidence in thy intercession. Thou didst deliver me from hell when I was in sin; now that I wish to give myself to God, obtain for me the grace to save my soul, and to become a saint. When the soul has once entered into the happy kingdom of God, there will be nothing to molest it.9 God shall wipe away all tears from their eyes; and death shall be no more, nor mourning, nor crying-,nor sorrow shall be any more; for the former things are passed away. And He that sat on the throne said: Behold I make all things new.10 In heaven there is no infirmity, no poverty, no distress; there are no longer the vicissitudes of days and nights, nor of cold and heat; but a perpetual day always serene, an eternal spring always delightful. There are no persecutions; no envy. In that kingdom of love, all love one another tenderly; and each rejoices in the good of the other as if it were his own. There are no fears; because the soul, being confirmed in grace, can no longer sin nor lose her God. Behold I make all things new. Everything is new; everything gives consolation and content.11 The sight will be filled with delight in beholding this city of perfect beauty. How delightful the view of a city in which the streets are of crystal, the palaces of silver, the ceilings of gold, and all adorned with festoons of flowers! Oh! how much more beautiful the city of paradise! how splendid the appearance of these citizens, who are all clothed in royal robes; for, as St. Augustine says, they are all kings. How delightful must it be to behold Mary, who will appear more beautiful than all paradise! But what must it be to see the Lamb of God, the Heavenly Spouse, Jesus! St. Teresa had one transient glimpse of one of the hands of Jesus Christ, and was struck senseless by its beauty. The smell will be regaled with odors, but with the odors of paradise. The ear will be delighted with celestial harmony. St. Francis once heard from an angel a single stroke on a violin, and almost died through joy. What then must it be to hear the whole choir of saints and angels chanting the glories of God! They shall praise Thee forever and ever.12 What must it be to hear Mary praising God! St. Francis de Sales says that, as the singing of the nightingale surpasses that of all other birds, so the voice of Mary is far superior to that of all the other saints. In a word, in heaven are found all the delights which can be desired. 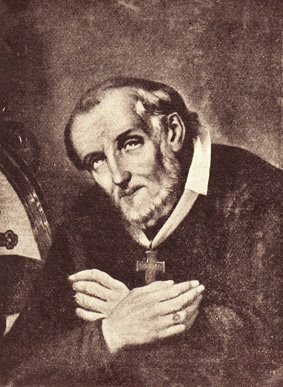 During the present life, we cannot comprehend the delight of seeing and loving God face to face: but we may form some notion of it by considering that divine love is so enchanting, that, even in this life, it has sometimes raised up from the earth, not only the souls, but even the bodies of the saints. 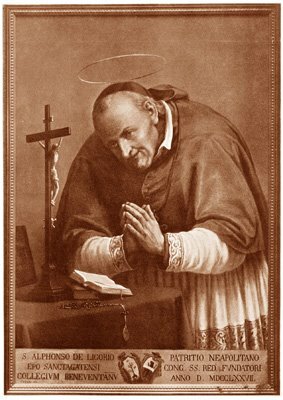 St. Philip Neri was once lifted up into the air along with a bench which he had grasped. St. Peter Alcantara was also elevated from the earth, and a tree which he held was torn up from the roots. 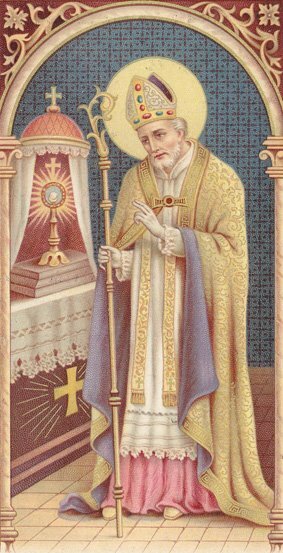 St. Vincent, while he was tormented, spoke, says St. Augustine, in such a manner, that one person appeared to suffer and another to speak.15 St. Lawrence, while he was on the red-hot gridiron, upbraided the tyrant, saying: “Turn and eat.”16 “Yes,” says St. Augustine; “for St. Lawrence, inflamed with the fire of divine love, was insensible to the burning heat of the fire.”17 Besides, how great the sweetness which a sinner experiences on this earth even in weeping over his sins! Hence, St. Bernard used to say: “If it is so sweet to weep for Thee, O my God! what must it be to rejoice in Thee?”18 What sweetness does not a soul experience when, by a ray of light, God unfolds to it in prayer his goodness, the mercies he has shown it, and the love which Jesus Christ has borne, and still bears, to it! In such moments, the soul melts and faints away through love. Yet in this life we do not see God as he is; we see him only in the dark. We now see through a glass in a dark manner: but then face to face.19 At present there is a veil before our eyes, and God is seen only with the eyes of faith; but what will be our joy when the veil is removed, and we see God face to face? We shall then see the infinite beauty of God: his infinite greatness, his justice, his perfection, his amiableness, and his infinite love for us. Ah, my Sovereign Good! I am that wretch who has turned his back upon Thee, and renounced Thy love. I therefore am undeserving of seeing or of loving Thee. But, to show mercy to me. Thou hast not shown mercy to Thyself, but hast condemned Thyself to a painful and ignominious death, on an infamous gibbet. Thy death, therefore, makes me hope that I shall one day see and enjoy Thee face to face, and that I shall then love Thee with all my strength. But, now that I am in danger of losing Thee forever, now that I am conscious of having lost Thee by my sins, what shall I do during the remainder of my life? Shall I continue to offend Thee? No, my Jesus! I detest with a sovereign hatred the offences I have offered Thee. I feel a sovereign sorrow for having insulted Thee, and I love Thee with my whole heart. Wilt Thou cast off a soul that repents and loves Thee? No: I know, O my Redeemer! that Thou hast said that Thou wilt not reject any one that comes to Thee with a penitent heart. Him that cometh to Me, I will not cast out.20 My Jesus! I renounce all things, and turn to Thee. I embrace Thee, and unite Thee to my heart: do Thou also embrace me, and unite me to Thy heart. I dare to speak in this manner, because I speak and converse with infinite Goodness. I speak with a God who was content to die for the love of me. My dear Saviour! grant me perseverance in Thy love. My dear Mother Mary! through the love which thou didst bear to Jesus Christ, obtain for me this perseverance. Such is my hope, such is my desire. In this life, the greatest pain which afflicts souls that are in desolation and love God, arises from the fear of not loving him, and of not being loved by him. Man knoweth not whether he be worthy of love or hatred.21 But in heaven the soul is certain that it loves God, and that he loves it. It sees that it is happily lost in the love of its Lord, and that he embraces it as a beloved child, and that this love will not be dissolved for all eternity. These blessed flames will be augmented by the increased knowledge which the soul will then have of the greatness of the love of God, in becoming man and dying for us; of his love in instituting the Most Holy Sacrament, in which a God becomes the food of a worm. Then also will the soul clearly see all the graces which God has bestowed upon it in delivering it from so many temptations and so many dangers of perdition; it will then understand that the tribulations, infirmities, persecutions, and losses, which it called misfortunes and divine chastisements, were all love, all means intended by divine Providence to conduct it to heaven. It will see particularly the patience of God in bearing with it after so many sins, and the mercies he had shown it in giving it so many lights and invitations to his love. From that blessed mountain it will behold so many souls in hell, condemned for fewer sins than it had committed, and will see that it is saved, that it is in the possession of God, and secure against all danger of ever losing that Sovereign Good for all eternity. The blessed then will forever enjoy that felicity which, during each moment of eternity, will be always as new as at the first moment of its enjoyment. The soul will always desire and always possess that joy. It shall be always satisfied, and always thirsty: forever thirsty, and always satiated with delights: because the desire of heaven begets no pain, and its possession produces no tediousness. In a word, as the damned are vessels full of wrath, so the blessed are vessels filled with happiness, so that they have nothing more to desire. St. Teresa says that even in this life, when God introduces a soul into the cellar of wine—that is, of his love, it becomes happily inebriated, so that it loses all affections for earthly things. But in entering into paradise, how in more perfectly, as David says, will the elect be inebriated with the plenty of God’s house.22 In seeing God face to face, and in embracing its Sovereign Good, the soul will be so inebriated with love that it will happily lose itself in God—that is, it will entirely forget itself, and will think only of loving, of praising, and of blessing the infinite Good which it possesses. 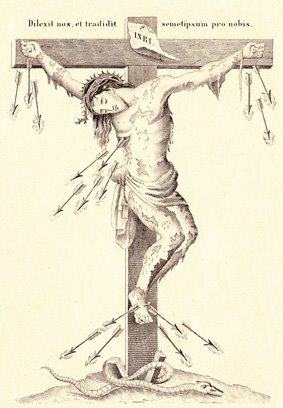 When, therefore, the crosses of this life afflict us, let us animate ourselves with the hope of heaven to bear them patiently. St. Mary of Egypt, being asked at the end of her life by the Abbot Zozimus, how she had been able to live for so many years in such a desert, replied: With the hope of heaven. 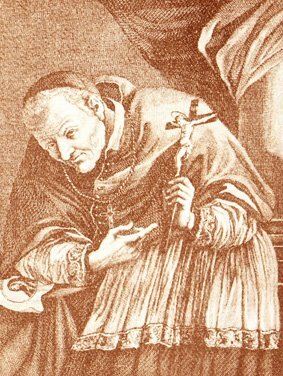 When the dignity of Cardinal was offered to St. Philip Neri, he threw up the cap in the air, exclaiming, Paradise! Paradise! At the mention of paradise, Brother Giles, of the Order of St. Francis, was raised up from the ground through joy. Let us likewise, when we are afflicted by the miseries of this life, raise up our eyes to heaven, and console ourselves, saying with a sigh, Heaven! Heaven! Let us reflect that if we be faithful to God, all these sorrows, miseries, and fears will one day have an end, and we shall be admitted into that blessed country, where we shall enjoy complete happiness as long as God will be God. Behold, the saints are expecting us, Mary is expecting us, and Jesus stands with a crown in his hand, to make us kings in that eternal kingdom. My dear Jesus! Thou hast taught me this prayer—Thy kingdom come. I therefore now pray that Thy kingdom may come into my heart, so that Thou mayest possess it entirely, and that my soul may possess Thee, its Sovereign Good. O my Jesus! Thou hast spared nothing in order to save me and to acquire my love; save me then, and let my salvation consist in loving Thee always in this life and in the next. I have so often turned my back upon Thee, and yet Thou assurest me that Thou wilt not disdain to embrace me for all eternity in heaven, with as much love as if I had never offended Thee. And knowing this, can I ever love anything else but Thee, who wishest to bestow heaven upon me after I had so often deserved hell? Ah, my Lord! would that I had never offended Thee! Oh! were I born again I would always love Thee. But what is done is done. I can now do no more than give Thee the remainder of my life. Yes, I give it entirely to Thee. I consecrate myself entirely to Thy love. Depart from my heart, all earthly affections; give place to my God, who wishes to possess it entirely. Yes; take possession of my whole being, my Redeemer, my Love, and my God! From this day forward I will think only of pleasing Thee. Assist me by Thy grace. I hope in Thy merits. Augment in me continually Thy love, and the desire of pleasing Thee. Heaven! Heaven! When, O Lord! shall the day come when I shall see Thee face to face, and embrace Thee, without fear of ever more losing Thee? Ah, my God! keep Thy hand upon me, that I may never more offend Thee. O Mary! when shall I see myself at thy feet in heaven? Assist me, my Mother: do not permit me to be lost, and to go forever to a distance from thee and thy Son. 1“Tristitia vestra vertetur in gaudium,” – John, xvi. 20. 2“Quam dilecta tabernacula tua. Domine virtutum.” – Ps. lxxxiii. 2. 3“Arcana verba, quæ non licet homini loqui.” – 2 Cor. xii. 4. 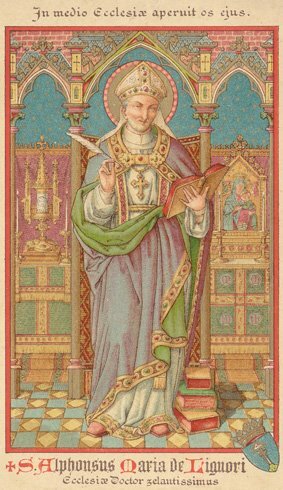 4“Oculus non vidit, nec auris audivit, nec in cor hominis ascendit, quæ præparavit Deus iis qui diligunt illum.” – 1 Cor. ii. 9. 5“Nihil quod nolis sit, totum sit quod velis.” – De Divers. s. 16. 6“Vide ne feceris: conservus enim tuus sum.” – Apoc. xxii. 9. 7“Veni de Libano, sponsa mea, veni: coronaberis.” – Cant. iv. 8. 8“Intra in gaudium Domini tui.” – Matt. xxv. 21. 10“Absterget Deus omnem lacrymam ab oculis eorum; et mors ultra non erit; neque luctus, neque clamor, neque dolor erit ultra; quia prima abierunt. Et dixit, qui sedebat in throno: Ecce, nova facio omnia.” – Apoc. xxi, 4. 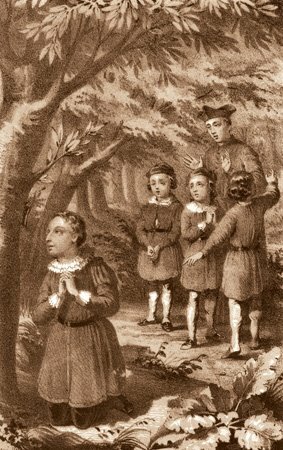 12“In sæcula sæculorum laudabunt te.” – Ps. lxxxiii. 5. 13“Ego sum merces tua magna nimis.” – Gen. xv. 1. 14“Continuo infernus in amænum converteretur paradisum.” – De Tripl. Habit. c. 4. 15“Tamquam alius torqueretur, alius loqueretur.” – Serm, 275, E. B. 17“Hoc igne accensus, flammarum non sentit incendia.” – Serm. 206, E. B. 18“Si adeo dulce est flere pro te, quam dulce erit gaudere de te?” – Seal. claustr. c. 6. 19“Videmus nunc per speculum in ænigmate: tunc autem facie ad faciem.” – 1 Cor. xiii. 12. 20“Eum qui venit ad me, non ejiciam foras.” – John, vi. 37. 21“Nescit homo, utrum amore an odio dignus sit.” – Eccles. ix. 1. 22“Inebriabuntur ab ubertate domus tuæ.” – Ps. xxxv. 9.